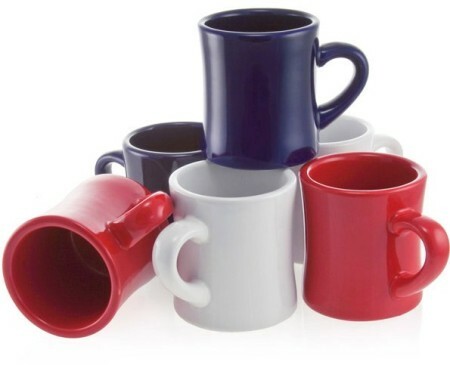 Nothing says Americana like red, white and blue diner mugs. Retro Planet’s latest sets of old-fashioned diner & coffee shop mugs feature thick-walled, heavy-duty vessels keep coffee, tea and hot chocolate hot – just like the old days. Perfect for home, office, diner and restaurant, the lead-free mugs are safe for dishwasher and microwave, and hold a full 10 oz of your favorite beverage. They’re also available in single-colored sets and individually in cobalt blue, red, white, traditional cream and black. Whether treating yourself, or sending as a gift, the classic diner mug truly does keep fresh that perfect cup of coffee.